I'm as big as... Elvis! I’m as big as… Elvis! 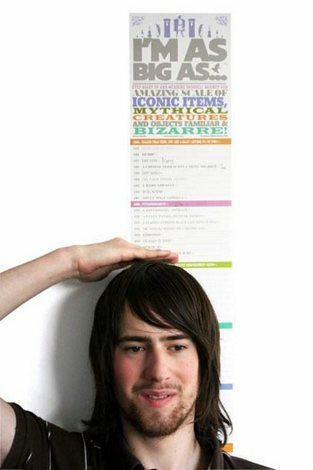 Find out your height plus some interesting height facts with the I’m As Big As… growth chart. Featuring height references from a blue whale’s heart and Tutankhamen to the average baguette and Arnold Schwarzenegger’s biceps in the seventies, if it’s a little odd it will be measured on this chart. So next time you are at the maternal health nurse for the all important baby growth checks, you can proudly announce that your bub is now as big as the world’s largest turnip. Available from I Want One of Those for £9.99.